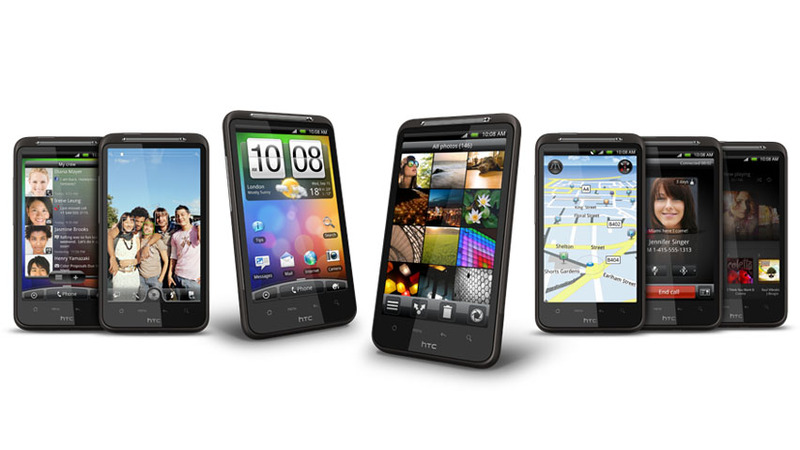 Earlier today, HTC announced the Desire HD at their press conference in London along with an updated HTC Sense interface. Although a new product, it heavily resembles the American HTC EVO 4G (Sprint), which we reviewed earlier this year. While the slight bump in specifications for better performance is a welcome addition, the new HTC Sense web service and interface improvements is really the big news. With a year-long track record, it is clear that HTC will continue to spew out new hardware and software without showing any signs of slowing down. While the Desire HD runs on Android, it also features the Sense interface just like every other HTC smart phone. Although some may not like it, I’ve found that the user interface improves the Android experience with visuals, consistent interface elements, stunning widgets, and other bonuses. The new version brings features such as DLNA for streaming content multimedia over a home network. Although late to the game, it’s great that HTC is adding this feature since competitors such as Motorola and Samsung already offer it through custom MotoBlur and TouchWiz interfaces, respectively. While smartphones such as the EVO already can record in 720p, customers running the new Sense will have the ability to edit videos as well. HTC Locations, another new addition, will bring navigation software that doesn’t need a network connection. (It seems like an add-on to Google Maps.) And with a partnership with Kobo, customers can read eBooks at anytime since the application comes pre-installed. 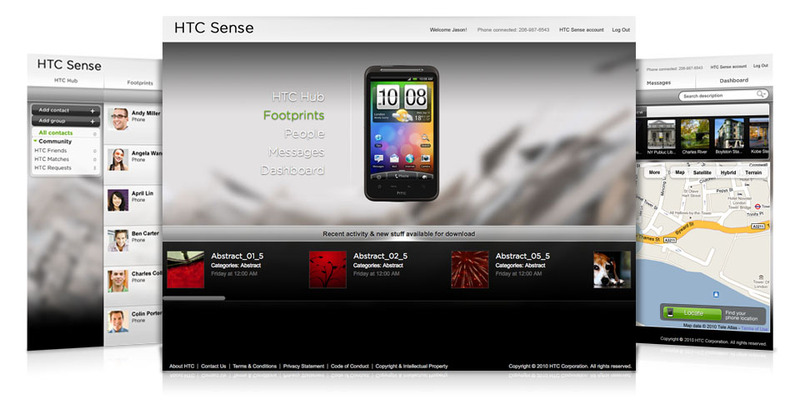 The complementary HTCSense.com service offers some valuable backup and security features. Customers can make a lost phone ring loudly, locate a stolen phone on a map, remotely lock a phone, forward calls/texts to another number, send an on-screen message to a handheld, and remotely wipe all personal information from any browser. The website will also store archives of contacts, text messages, and call history. 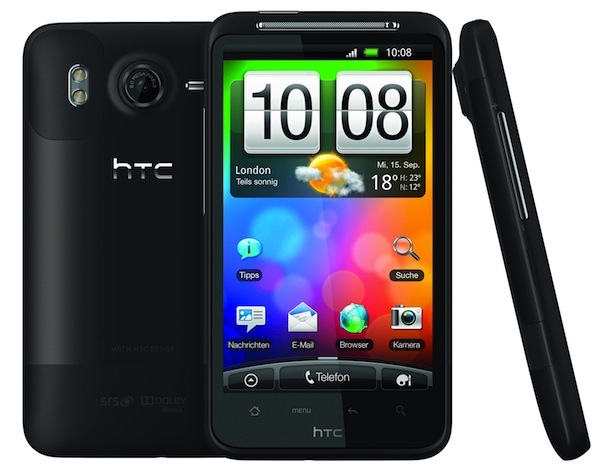 Like the HTC EVO, the Desire HD sports a 4.3 inch LCD display, but it also sports Dolby Mobile audio with SRS virtual sound. It runs on a newer 1GHz Qualcomm 8225 Snapdragon processor, has 768 MB of RAM, and 1.5GB of ROM for applications. A 8 megapixel camera, along with dual LED flash, makes 720p HD video recordings possible. Also, unlike the plastic EVO, the Desire features a stronger aluminum unibody design for added durability. A new HTC Fast Boot technology speeds up the often-lengthy power-up sequence duration making it possible to place urgent phone calls faster. Although the features sound great, there are some noteworthy features missing. For instance, the Desire only has a 1230 mAh battery while the EVO uses a slightly more powerful 1500 mAh battery. The HTC Desire also lacks a kickstand, probably since there wasn’t enough room for both CDMA and GSM radios inside. There’s no word on whether it will support 4G networks (WiMax or LTE). For those that got their hopes up, I have some disappointing news. The Desire HD isn’t coming to North America, it’s for Asia and Europe only. However, there’s a good chance that HTC may release the new Sense UI as an update for Froyo 2.2 or even bundle it along with Android 3.0 which may launch by the end of this year. I’ll have my eye on this for sometime considering that HTC Sense is my favorite Android interface over Samsung TouchWiz and Motorola Blur. As for those living in respective markets, the Desire HD will be available through cellular carriers and retailers starting October 2010.